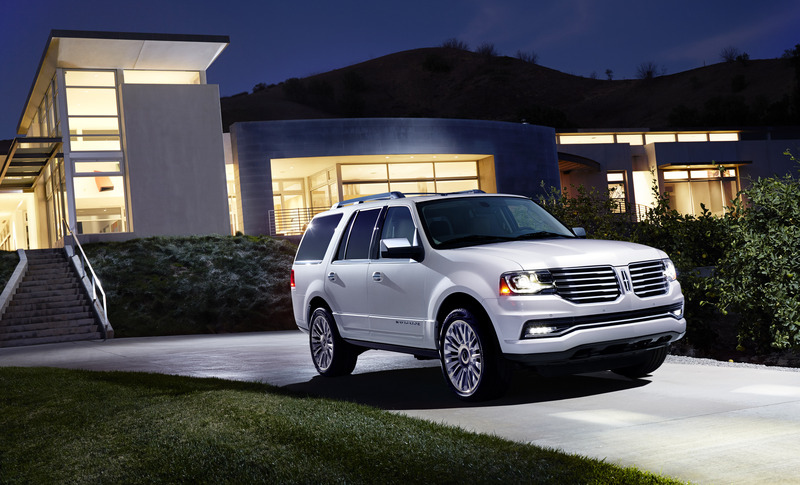 Lincoln has announced an updated Navigator for 2015. The Navigator has been due for a redesign, having only received minor refreshes in the past few years. In fact, you might have missed the 2014 Navigator if you didn’t look carefully in Detroit. But this new model, with a new front clip, rear design, and updated interior, will be on full display in Chicago. Lincoln has delivered more luxury, which is expected to draw the attention of drivers looking for more than just a full-size SUV. 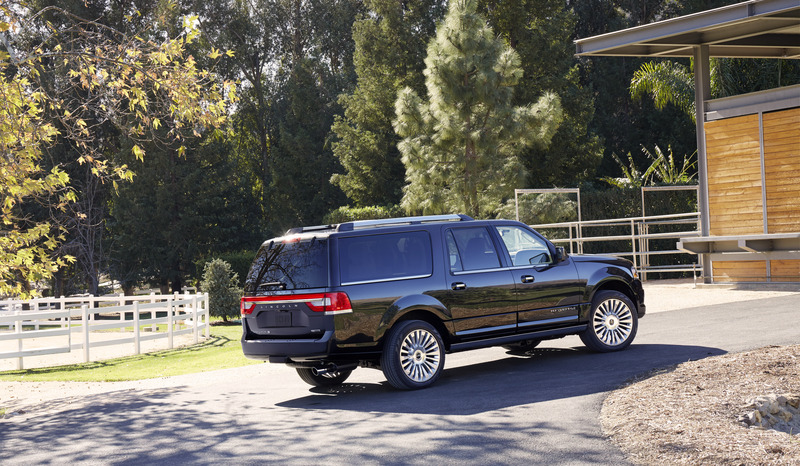 The Navigator has an updated visual appearance with new LED tail lights and HID adaptive headlights. These new lights compliment the larger front grille. There’s also new puddle lamps and a chrome-tipped exhaust pipe to add a further touch of class. The aforementioned changes are supposed to, “align with the new Lincoln design DNA”, which is to say it makes the Navigator look more “Lincoln”. There is also a Reserve Package, which will include huge 22-inch polished aluminum wheels as well as a power sunroof and chrome-accented running boards. Inside, the new Navigator gets a reconfigured gauge cluster and new steering wheel. The Reserve Package also provides upgrades for the interior of the Navigator beyond the standard SYNC system with MyLincoln Touch. In photos, you’ll notice the Ziricote wood trim; new to the automotive world but commonly used in yachts. The second row’s optional captain’s chairs fold flat with the third row to open up a class leading cargo volume. 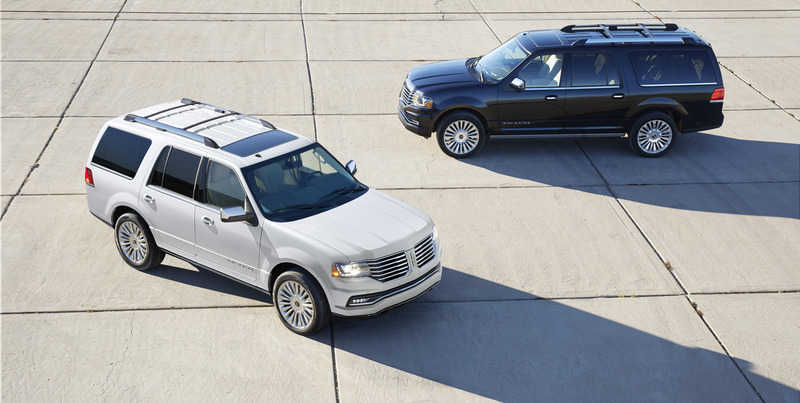 The Navigator L remains an option to add even more space. Perhaps the biggest news is the new engine. The 5.4L V8 has been replaced with a more powerful 3.5L EcoBoost engine. The new twin turbocharged, direct injection engine produces at least 370hp and 430lb-ft torque. That power runs through Lincoln’s six-speed SelectShift transmission and, optionally, to all four wheels via the Control Trac four-wheel-drive system. All Navigators will continue to come standard with load-leveling rear suspension. However, a new Continually Controlled Damping (CCD) system offers three adjustable ride settings; Normal, Sport, and Comfort. Luxury is all about choices, after all. The new full-size luxury SUV will be debuted to the public at the Chicago Auto Show on February 6th. Production begins in late summer at the existing factory in Louisville, KY. Expect the new model to hit dealers near you by early Fall.